Helen is the owner of Kompus Kompetensträning AB. She is also Internationally certified Mental Trainer, NS-Trainer ISNS, NLP Trainer INLPTA, Meta-Coach and Team Coach ISNS. Helene will soon release a book about how teams can be coached to achieve meaningful and lasting results for all individuals involved. The book describes nine trainable skills and a feedback system which highlights the competencies in a successful team coach. 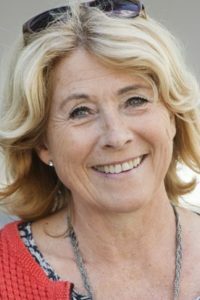 Helene acts as a Coach in a concept consisting of 20 different exercises where each exercise develops an individual’s personal leadership and competence. The concept consists of 1.5-hours long training sessions which follow a procedure where each participant considers their current status and through reflections, techniques and models, moves closer towards their desired end result. Helene coaches female leaders in various industries. Since 1998, Helene has been the organizer of educational camps for young adults of ages 13-16. The workshop during the congress will highlight the results and experiences borne out of this type of training. Helene will do a workshop together with Carina Juserius.